When North Carolina gained statehood, it ceded its western territory to the Federal Government where it was designated as the Southwest Territory by Congress. Within just 5 years, a census would reveal a sufficient population in the territory to form a state, and on June 1st, 1796, the first official U.S. territory would become the state Tennessee, and the 16th state of the union. I have been to Tennessee a few times. I have walked down Beale Street, seen a New Years Eve concert at the Ryman, and passed through the mountains of Chattanooga multiple times. While I had various opportunities to drink a beer in this state, I never encountered any craft brew in the places I visited. I still recall the first beer I had in Nashville, a Guinness. Not quite a regional product. So when I set out to find a Tennessee brewed beer, I wasn’t sure what I was looking for or what I would end up with. But fear not, because the Tennessee craft beer industry is alive and well, and we were able to get our hands on three different beer styles this week. During the big collecting run, which feels like a long time ago now, beer from Tennessee was a target. Since the drive passed straight through Bristol, Knoxville, and Chattanooga, there was little concern about locating a Tennessee brewed product. On the south bound journey, we spotted a beer distributor from the highway. While potentially a good sign, a beer distributor is actually not a place to purchase a beer. When the 3 tier system was established after prohibition, a layer between the brewer and the retailer was created. This layer was the distribution layer. A beer distributor provides transportation, refrigeration, and maintenance for beer from the time it leaves the brewery until the time it arrives at a retailer. Distributors do not sell beer. So, on our northern journey back home, we would have to do some more scouting. When passing through the Chattanooga area of Tennessee, you are also skirting along the northern Georgia border, and according to a search on Beer Advocate, Fort Oglethorpe, GA is home to a excellent beer store. So we made quick stop at Beverage World, where we successfully acquired many of the beers reviewed to date on this adventure. However one of the states we could not get beer from was Tennessee. Even though we could throw a rock across the border from the stores parking lot, due to laws (either Tennessee or Georgia, it wasn’t clear), they were not legally allowed to sell Tennessee beer. However, the fine folks of Beverage World gave us a much unexpected lead – Whole Foods. The Whole Foods in Chattanooga, just a few miles up the road would have Tennessee craft beer. 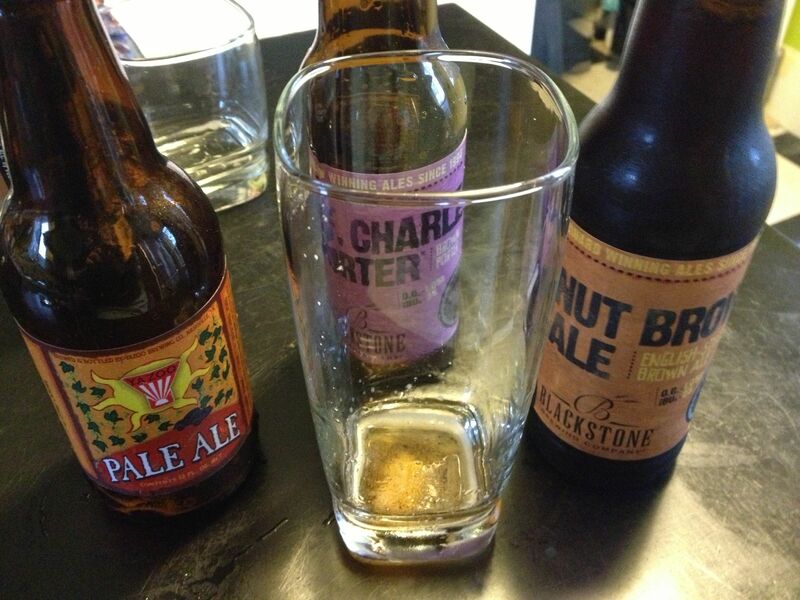 Once there, we found products from two different Nashville Tennessee breweries. 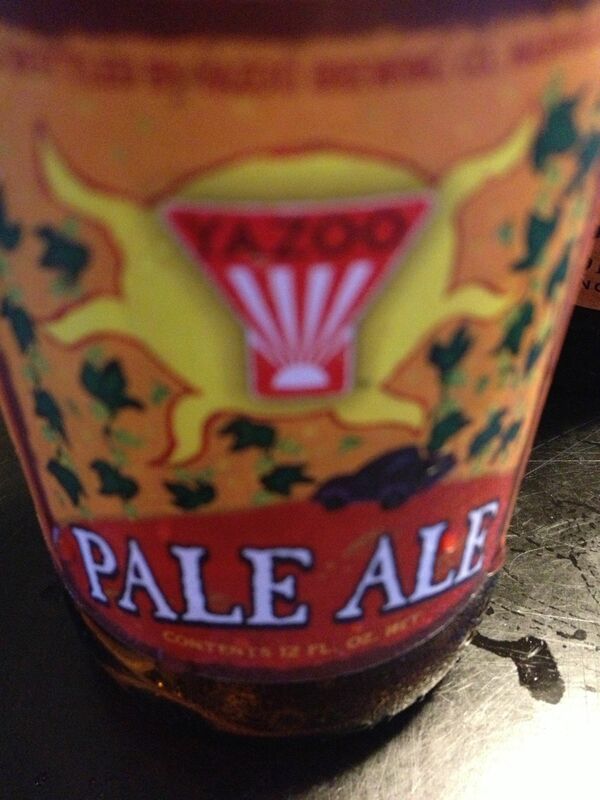 Blackstone Brewery and Yazoo Brewing Company. 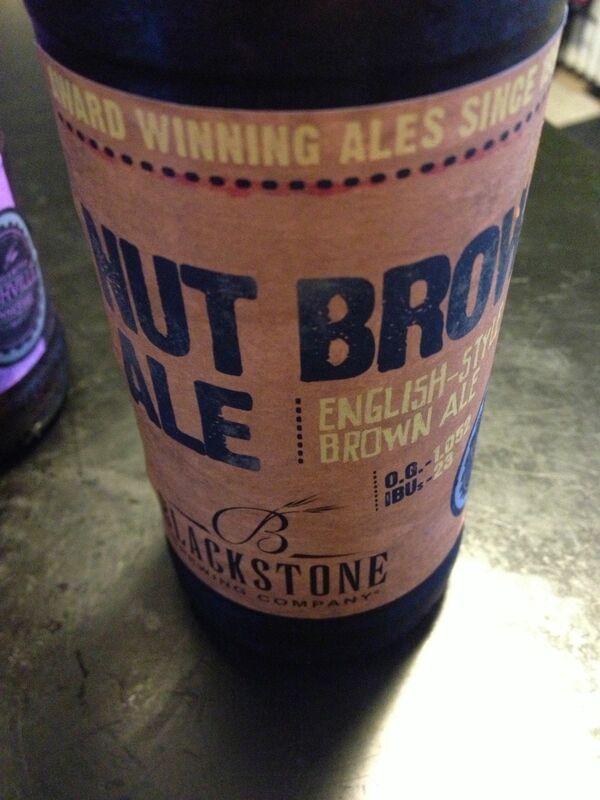 The first beer we sampled this week was Blackstone Breweries Nut Brown Ale, and this was a great start to the evening. This beer was very flavorful and well loved among all 4 tasters. Definitely one of the best brown ales we have encountered on this project, this beer had a wonderful, nutty aroma. The taste wasn’t bland like some ales could be, it had a wonderful character. A few weeks back, at the mini craft beer summit, we discussed brown ales and how they are a hard beer. That they get little respect. For me, this brown ale earned plenty of respect, because it was enjoyable. disagreed with the hops smell). The mouth feel of this beer was clean, and the taste was slightly hoppy, but seemed to derive more of its flavor from the various malts used during the brewing process. While well enjoyed, it was described as a beer that started great but faded fast. The final beer of the night was another style from Blackstone Brewery, the St. Charles Porter. While I really enjoyed this beer, among the group it was the least favorite of the three. When poured, it had a sweet aroma, described as mollasses. Another described it as tasting like a coffee beer. Overall, another great week in the books. So far, as we have worked across the southern states, the beer has been remarkably good. I am not sure why I have been so surprised at this. Maybe it has to do with the souths late entry into the craft brewing game. But what I think is often overlooked with this nieve assessment is that while the southern states took their time reversing the laws of prohibition, many of the residents were quietly (and often illegally) perfecting their craft at home, waiting for their opportunity to show the world their skills. I thought I liked the porter best. Certainly the two Blackstone beers were close in quality, definitely a brewery I would try anything they make.